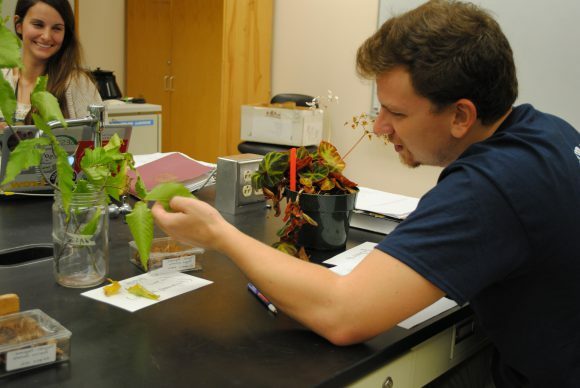 Share the post "Professor Lena Struwe Launches Botany Depot – a Global Botanical Education Resource"
Hands-on investigations of a living begonia plant from the Floriculture greenhouse and freshly collected branches from the Rutgers Gardens collection enhances the lab experience for botany students at Rutgers. Photo: Susanne Ruemmele. 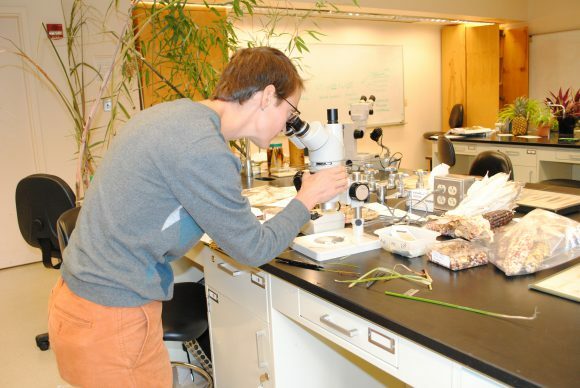 Lena Struwe, professor in the Department of Ecology, Evolution, and Natural Resources and the Department of Plant Biology, has launched a new website called Botany Depot. It is a global website for creative ideas and materials for teaching botany in the 21st century for all ages, situations and levels. “I wanted to build an inspirational resource that is easy to navigate, download from, and will excite educators all over the world as well as show that botany can be taught in innovative, hands-on and exciting ways,” Struwe explained. Struwe, who also directs the Chrysler Herbarium, invented and administers Botany Depot, where you can find links and downloads to resources and publications, lesson plans, manuals and handouts, plus a lot more, all of which is shared freely by botanical educators. Over time, Botany Depot will include materials and resources developed and shared by botanical educators in many countries and regions. 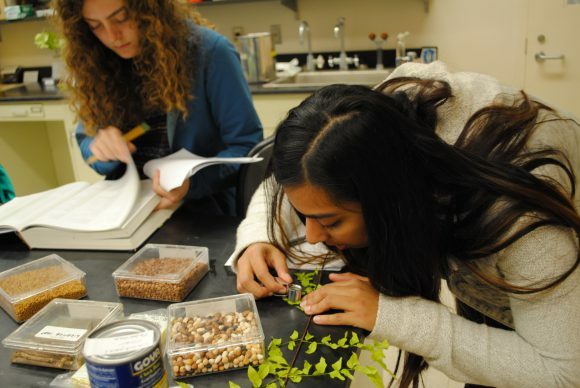 Many of the resources are materials developed by Struwe for college-level classes at Rutgers, but these can also be used by teachers working with students of other ages, as well as amateur naturalists and professional botanists. Initial offerings included a manual to the 50 most common plant families in the temperate regions of the world and links to diversity botanist Chris Martine’s videos in his series, Plants are Cool Too. Resources are constantly being added to the Botany Depot website but within weeks of its inception, it had already attracted attention through Twitter and Facebook, had nearly 1,500 page visits and downloads from more than 50 visitors to the site. “Botany is also fun, beautiful and fascinating. 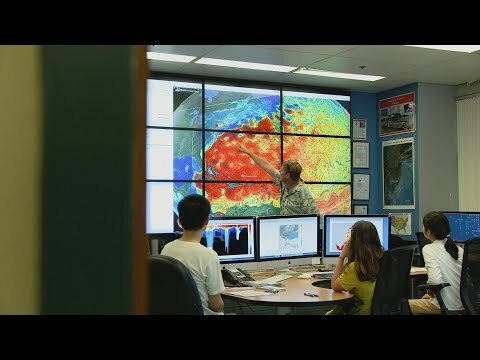 In the world of plants there is always something everybody can relate to but many people have not had the chance to discover this yet,” said Struwe.